The Polaroid Land Camera Model 900 Electric Eye is a Type-40 instant roll film camera made between 1960-1963 by Polaroid. This model is similar to the Model 850 except it has single-window viewfinder/rangefinder with projected frame-lines and automatic parallax compensation. This camera has fully automatic electronically controlled exposure for both the shutter and the aperture. 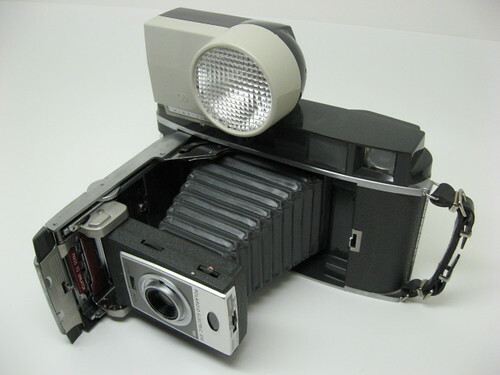 This camera was also designed by Walter Dorwin Teague. This page was last edited on 1 November 2017, at 11:29.